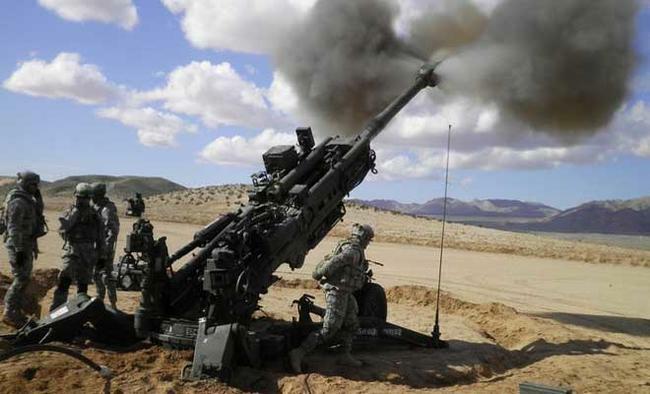 New Delhi: The first two of the M777 Ultralight Howitzers landed here on Thursday, the manufacturers said, bringing an end to the Indian Army's three decade wait for a new artillery gun. According to the BAE Systems, two 155mm/39 calibre ultralight howitzers arrived here on a chartered flight. The guns will now be taken to Pokharan in Rajasthan for user trials. Over the next year, another 23 guns will be delivered off the shelf and another 120 will be sent in a semi-knocked down condition, to be assembled in India by Mahindra.At 4.2 tonnes, these guns weigh only a third of normal 155 mm howitzers. It has a maximum range of 30 km. The M777 guns can be carried underslung by heavy lift helicopters and is expected to give the Army tremendous flexibility in operations, specially in mountainous terrain.On November 30, India signed the Letter of Agreement and Acceptance (LOA) with the US to buy 145 M777s through the foreign military sale (FMS) route. The Cabinet on November 17 approved the much-awaited deal, which would add tremendous firepower to the Indian Army.The $737 million contract has a 30 per cent offset clause worth around $200 million.